So I will admit it I seriously thought all this talk about gluten free was just a bunch of crap for people to buy these new crazy expensive products. I mean there is always a new fad popping up amongst the rich and famous that spreads and people end up really getting into it, so what made this any different? My mind was changed when my dear grandma began getting really sick all this year. She was constantly getting stomach flu type sicknesses with no logical explanation as to why, if she wasn't at work she was in the bathroom it was that bad. After a good 8-10 months of sickness and doctors visits we find out Gluten is the suspect. So what is Gluten? Gluten is a substance present in cereal grains, especially wheat, that is responsible for the elastic texture of dough. Is Gluten Free healthier? No. Gluten free is not a healthier lifestyle. 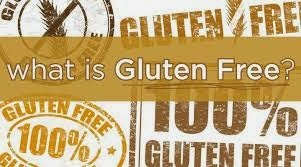 It is essential for those with celiac disease to be Gluten Free but for the rest of us we need a lot of the nutrients and vitamins that are also in foods with gluten. There are people who are also gluten sensitive or have gluten intolerance which means they need to try to eat less gluten, but cutting gluten out of your life for no good reason is just silly. So now that I found out the truth behind this big Gluten Free charade I now can share it with you, Gluten Free is only essential and necessary if you in fact have a medical condition keeping you from eating gluten!